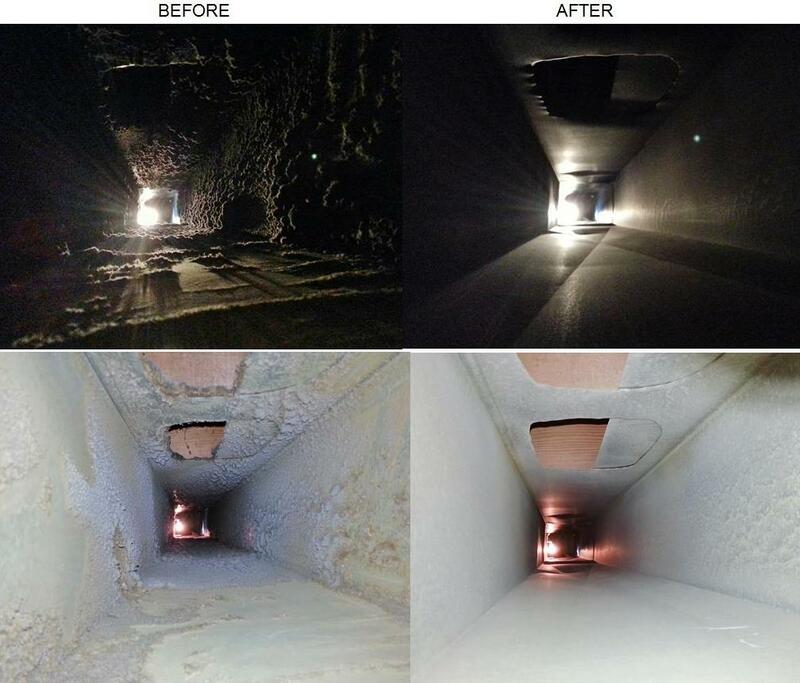 How do you know the results of your duct cleaning? People always ask us if we have before and after images. Of course most people don’t look inside the ducts in their homes unless they have to. So, unless they need to retrieve a beloved toy their two-year-old dropped into the vent in the kitchen floor, most people have no idea what it looks like inside the ducts. The first thing we do when we visit a client for the first time we always get out our camera and show them! That way we both know what their ducts look like. We’ll go ahead and complete the cleaning and sanitizing, then we get the camera out again to take a look. If you’ve ever wonder if the service technician is doing his job, you’ll definitely know with us. Here are a few before and after photos for your viewing pleasure.